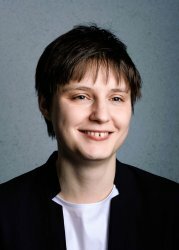 Maryna Viazovska, who conducted her doctoral research at the Max Planck Institute for Mathematics from 2008-2012 under the guidance of Don Zagier, was awarded the Ramanujan Prize for 2017. Professor Viazovska is honored “for her stunning solution in dimension 8 of the celebrated sphere packing problem, and for her equally impressive joint work with Henry Cohn, Abhinav Kumar, Stephen D. Miller and Danylo Radchenko resolving the sphere packing problem in dimension 24, by building upon her fundamental ideas in dimension 8.” The prize also recognizes her outstanding PhD thesis of 2013 at the University of Bonn in which she resolved significant cases of the Gross-Zagier Conjecture and her work prior to her PhD with A. Bodarenko and D. Radchenko resolving a long-standing conjecture of Korevaar and Meyers on spherical designs, that appeared in the Annals of Mathematics in 2013. The prize notes that the modular forms techniques developed by Viazovska will have a significant future impact in discrete geometry, analytic number theory, and harmonic analysis. It was awarded on December 22 (Ramanujan's birthday), 2017 at the International Conference on Number Theory at SASTRA University in Kumbakonam, India, Ramanujan’s hometown. Maryna Viazovska was born in Kiev in Ukraine in 1984. She obtained her Bachelor degree in Mathematics in 2005 from Kiev National University and a Master's degree in 2007 from the University of Kaiserslautern. In 2013 she received her PhD from the University of Bonn. After a postdoctoral position at the Humboldt University in Berlin she joined the faculty of the École Polytechnique Fédérale Lausanne, where she became full professor in 2018. The Ramanujan Prize was established in 2005 and is awarded annually for outstanding contributions by young mathematicians to areas influenced by Srinivasa Ramanujan. The age limit for the prize has been set at 32 because Ramanujan achieved so much in his brief life of 32 years.